Find of the Day: Hugs & Kisses Gift Tag — Gift Horse + Co. Printed in black with a grey envelope, there's nothing that screams Valentine's about this letterpress gift tag, well, except the affectionate message, of course. 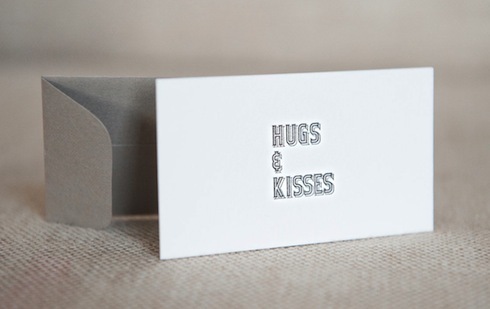 Hugs & Kisses letterpress gift tag (also available in pink and red), $4 US, Farmwood Press.